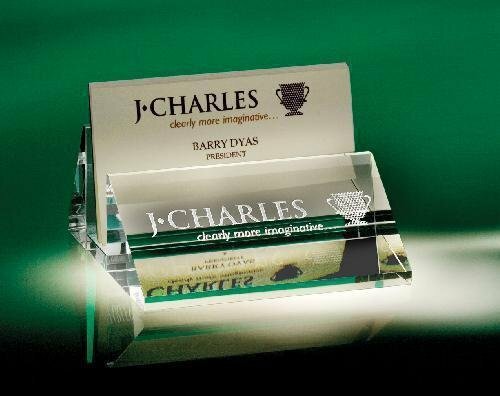 A nice jade glass business card holder engraved with your company logo will surely boost professionalism and be an impressive desk accessory. Dress the desk with a splash of optic crystal. The latest additions to our desk series puts the emphasis on eye-catching angles and good clean design. Each comes packaged in our patented designer gift box.